Coin collectors will no doubt want to be able to look at their coins in order to determine at least an approximate grade. 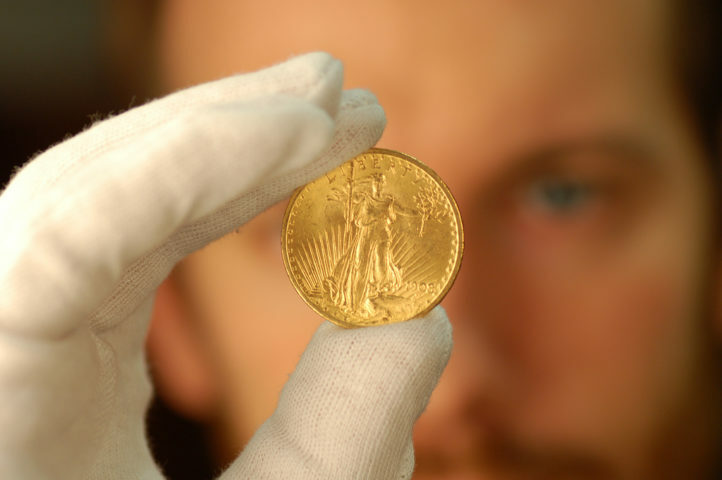 A coin’s grade will give you important information that will ultimately be used in determining the coin’s worth. I might as well tell you now that you’re not going to be able to do this if you’re just beginning to collect coins. Being able to grade a coin accurately comes from a lot of experience. 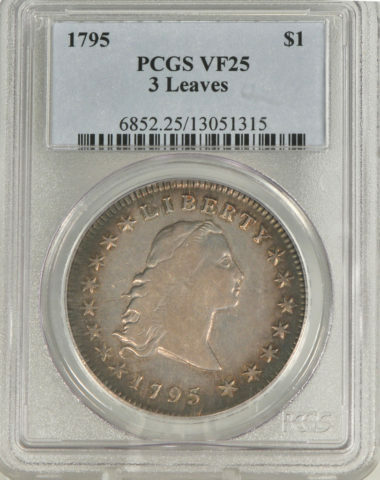 It’s usually left up to professional coin graders, like PCGS (Professional Coin Grading Service). Coins are most widely graded using the ANA (American Numismatic Association) Grading Standards. If you view what a coin is worth in any type of coin price guide, they are using the ANA grading system. Any coin can be graded using ANA’s guidelines — from the oldest obsolete coins to coins still in production today. A coin’s design always has certain vulnerable areas. Some parts of the design are more highly raised than others and will show wear the quickest. Likewise, some of the engraved lines are shallower than others and will be worn more quickly from day-to-day handling. By carefully examining a coin and checking these vulnerable areas you can determine if a coin is circulated or uncirculated. If a coin is circulated, its vulnerable areas can also establish a specific grade by the amount of wear that they’ve absorbed. When grading coins, especially if they’re your coins, you have to stick to the strict guidelines. You can’t say, “Well my coin’s just half of a hair away from being MS-60 so I’ll grade it MS-60”. A lot of times, a coin in MS-60 condition can be worth 200% more than if it were graded one grade lower — which is why it is important to grade them accurately, even if they’re your own coins. Many sellers do this nowadays, trying to make more money for their coins. They’re betting that the buyer won’t be able to tell that slight difference and pay for a grade that they’re not actually receiving. This is called slider grading… stay away from it. Using the ANA coin grading system, there are standards for every type of coin. This article just covers the basics. 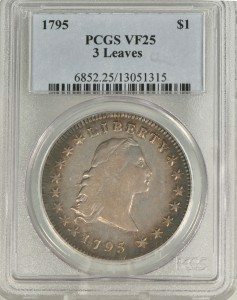 We talk about grading individual types of coins at length in other articles. To begin grading coins you’ll need to know the grades and their abbreviations. Proof-70: A coin with no hairlines, handling marks, or defects whatsoever. In other words, a perfect coin through and through. The coin can be brilliant or have natural toning. Proof-65: Under a magnifier will show only very fine hairlines on the coin. Proof-60: A proof coin with scattered hairlines and handling marks that can be seen even without a magnifying tool. MS-70: A non-proof coin that contains no lines, bag marks, or anything of the sort. A perfect coin. MS-65: Scattered bag marks on the surface, or one or two very light rim marks. MS-60: Uncirculated coin with a moderate number of bag marks. May have a few minor edge nicks and marks. AU-55: Coin that was in circulation only for a very brief period of time. Only shows a small trace of wear on the highest points. AU-50: Traces of wear on nearly all of the highest points. Must still have at least half of the mint luster present. EF-45: Light overall wear on the highest points. Mint luster only in protected areas — such as in between stars and letter spacing. EF-40: Still only having slight wear, but a little more extensive than the preceding grade. Design still has excellent sharpness. VF-30: Light, even wear on the surface. Design details on the highest points lightly worn, but all lettering and major features sharp. VF-20: Same as the preceding grade, except with moderate wear on the high points. F-12: Moderate to considerable even wear. Entire design is bold. All lettering is visible but with some weakness. VG-8: Well worn. Most fine details such as hair strands, leaf details, and so on are worn nearly smooth. G-4: Heavily worn. Outside outlines of design are visible, but center detail of the design is worn smooth. AG-3: Very heavily worn with portions of the lettering, date, and legends being worn smooth. Date is barely readable. Okay, that should give you something to look at so you can get at least some idea of your coin’s grade. Keep in mind, the exact descriptions of circulated grades vary greatly for each type of coin. That’s why it is essential to refer to the specific grading text of the exact type of coin you are wanting to grade. For example, on a mercury dime you will look to see if the lines on the columns on the reverse side of the coin are visible and on a Morgan silver dollar you will look at the reverse and see if the lines in the eagles feathers are clear. Since there are many many types of coins, no single article could cover all of them. I will try to cover coin grading tips in separate articles here at The Fun Times Guide to Coins. Hopefully, this has given you at least some idea as to what your coin’s grade might be, and now you should have a better idea as to your coin’s worth, as well.